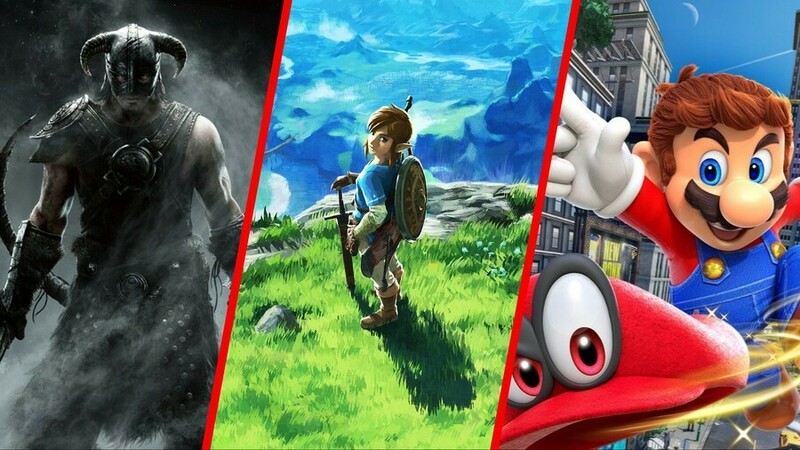 Seemingly out of nowhere - although no doubt thanks to Black Friday sales - Nintendo of Europe has slashed the cost of lots of top games on Switch, with customers now able to snag some of the best and biggest titles from the eShop at bargain prices in a new Cyber Deals 2018 event. For those of you in North America, never fear - an eShop Cyber Deals event is also taking place in your region. Will you be taking advantage of any of these offers? It seems like a great opportunity not to be missed! I wonder how long it'll take for Switch game to become Nintendo Selects...? Plus, no discount for Mario Kart 8 Deluxe!? @ValhallaOutcast The UK misses out on Mario + Rabbids and Monster Hunter sales, though. Mario Rabbids Gold for £29.99. Not as good as Argos's £25 but Argos are sold out anyway. Lots of 3DS products on sale too such as Dragon Quest VII and several of the Monster Hunter games. Oh and FF Explorers is pretty cheap. Theatrhythm Curtain Call on sale too but unfortunately the DLC is still full price. If you don't have a Switch, or have a smaller game collection, now is the best time to expand. Or wait another year for next Black Friday's sales. Nintendo got rid of the Player's Choice line twele years ago. Now it's Nintendo that Selects. And they consistently only select things that are good, but not selling well at full price anymore. Imagine selling 30 million Mario Kart Wii copies, but 29 million of them had been the discount release? Store still makes the same cut, so Nintendo would be down about 70% revenue per unit after the initial million. Wouldn't fly anymore. Oh bum, preferred the US selection. Was thinking about getting Wolfenstein at the lower price but no dice! Nice reduction but still a bit underwhelming. I had hoped for 50% off and more titles. Like Captain Toad Treasure Tracker for example. Sorry, NL, another gaffe, you seem to have included the word 'huge' in the title by accident. DLC seems to be discounted too, at least some of the season passes. Eh, for Nintendo, where 10 - 15% is the biggest discounts they usually do, 33% is pretty huge. But yeah, you're right. This is digital only. The physical games, on their own official online store, where no middle men take a cut and no pimple faced teenagers are employed to man the counter, still cost full price on Black Friday. @nocdaes EU gets shafted once again, I just don't get why they don't give us the same discounts. Maybe at X-mas? Why are people complaining about the discounts being better on the USA store? Just buy off their store, like I will. You have a multi region Console. First party games on sale? 140 games reduced in total? Pretty huge to me. Surprised to see Snipperclips be 50% off, and KingdomBattle be 60% off! Usually the US sales are paltry, this one isn't quite as good. @NewAdvent Enjoy your new laptop , steam sales will forever change your perception of what a good deal is lol. Given how long it takes and the fact some consoles (looking at you, Game Boy Advance) never got their discounted lines in Europe back in the Player's Choice days, I wouldn't hold my breath until Nintendo says otherwise. 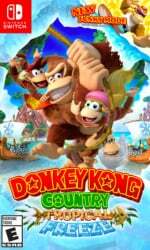 Given the Switch bumped the pricetag range from the usual 40-ish for portables/50-ish for home consoles all the way up to a whopping 60-ish or 70-ish (regardless of the game being in Tropical Freeze-like "port city" or the title actually being worthy of its demanding fee as Breath Of The Wild and Odyssey are), I don't see a Selects range coming anytime soon. You can currently get Runner 3, South Park Stick of Truth, Minit, the Messenger and Hyper Light Drifter for a combined price of 50 quid. That seems like a damn good deal to me. Or you could get Fallout 76 for the same price. I know which I'd prefer. It misses out on L.A. Noire's US discount but does get 40% off Dragon Quest Builders which seems a rare guest on sale lists. Don't mind if I do, then - this fortnight's payday and other expenses were shaping Civ 6 to be a rather narrow fit anyway. The North American deals are so much better. The games that I wanted (Starlink and Okami) are not even listed in the discounts in Europe. And Starlink doesn't even seem to have the standard edition on the eShop in the UK. Crazy. @NewAdvent Well enjoy either way are you making anything we may see out in the wild? 30% off of digital games is not nearly enough to convince me to buy them digitally instead of physical. Meanwhile, in Playstation and Xbox Land, 60-75% discounts are flying on first party (and other) games this week. @electrolite77 Lots of games maybe, but not huge discounts. 33% off retail games that are often sold cheaper isn't huge. 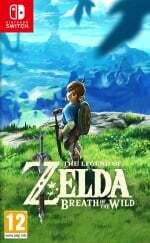 BOTW, at 41.99 is still more expensive than I paid for it on launch day. Of course BOTW is dirt cheap in Europe. Here in the US they only took like $4 off? It’s laughable. To pricy! Better offers on the overpriced high street! Gutted we aren't getting a discount on Wolf2! How long will this sale go on for? @Lord Not for Xenoblade Chronicles 2 and its DLC which I just snapped up. I will never understand how Nintendo figures out its pricing. 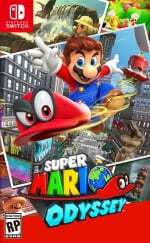 Games like Mario Odysee are over a year old now and I have only seen it on sales once. Now its on sale in NA at 2 retailers and not the ehsop. I mean come on really? There are zero other companies that do colorless slimy frogs like that. 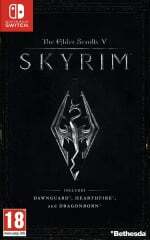 @earthinheritor the game sells many copies, week in and week out, at full RRP, that's why they do it. @Captain_EO There is no logic to that though. Mario Odysee sold about 10 in its first 4 months of release. Red Red 2 sold 17 million in its first 2 weeks and is on sale for Black friday. There are hundreds of examples like this. Same with God of war and anything else. Mario Odysee sold well by console sales comparison but thats it. Rockstar knew they could keep making money but still put it on sale. They’re pretty big by Nintendo standards. They keep their prices high for good reason. And because they can. It’s also usual for games to be cheaper physical-even big PS4 games like GOW and Horizon that have discounts this week are still cheaper on disc. Compared to what the US is getting on Switch, with 50% off of Doom and Skyrim, and compared to what Xbox, PS, and Steam is offering, at up to 80+% off of a large number of games. This is a very weak sale. I expected better this year. @electrolite77 But for anyone with even one other platform that means money and sales going to another platform. Which is a shame since I've had the option to spend money on a black Friday sale for over a week, but I would have preferred to spend money on a Switch title. This display means I'm spending it elsewhere. 33% is not "huge" in any way, shape, or form. 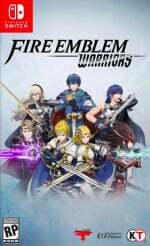 Why is it that games like God of War and Horizon Zero Dawn are discounted so heavily, but Nintendo games aren't? They would sell way more. @Pod Pretty sure Base are the middlemen that take a cut. It’s licensed by Nintendo, but run by them. That's because PlayStation and Xbox first party games aren't as big of a deal as Nintendo's. Only Nintendo can sell their first party games for full MSRP years later and still make good profit. Them's just the facts, sonny. Nobody buying Nintendo games is going elsewhere. Nobody who wants games that can be played on the go is going elsewhere. MS and Sony don’t directly compete on price, Nintendo aren’t going to either. So tempted but I already bought Overwatch on sale for PS4 and haven’t even had time to play it yet. 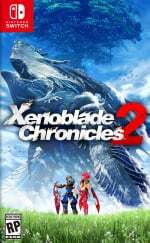 Love Zelda TBOTW and Xenoblade Chronicles 2, so Buying these games is the must do to me, though I have their physical copies. Nothing much to get... ==.=="
You know what's sad? For Nintendo, 33% is a HUGE discount. And best of all the dlc is discounted too for the first time! @electrolite77 Right, but that's just it. The Switch is the first console people have taken seriously from Nintendo in a long time. It was going to have serious 3rd party support and be a serious home console. Then we get the Online Service, these kind of discounts, and I'd swear the 3rd party support has slowed down outside of indie games. But it's OK because the Switch still has 1st party support and a unique selling point to the hardware?, that's exactly what peoples' issue with the Wii and Wii U was. What did you expect from third party support? In the last 3 months alone so can think of loads-Diablo, Civilisation, Starlink, Dragonball, Dark Souls, Warframe, Fifa, NBA, Monster Hunter (in the West), the SNK Collection, Valkyrie Chronicles 4, Taiko, TWEWY, Cities Skyline. No it doesn’t have the latest big third party games PS4 and XB1 has but it was never promised, suggested or insinuated they would. Anyone buying it for COD, Battlefield and thempike made a mistake. Going back on topic, Nintendo don’t discount their games because hey want the perceived value of their games to remain high. They don’t want buyers waiting for the discounting that seems inevitable with some third party games these days. If you buy a Nintendo game you can be confident that you aren’t going to see it in the shops two months later with its price halved (hello, Shadow of the Tomb Raider). They’d rather go for the long term brand value than chasing quick revenue, the value of which is questionable if you have to cut your prices to chase it. @electrolite77 When you strip out old ports, microtransaction riddled sports games, and games that were gimped on Switch, that list feels a lot smaller. Again, you take the games I would play in that list, like Diablo and MH (ironically, the old ports), and think, I have to jump through hoops to play online with other people properly. It's not the most appealing way to play those games. The only boon to those games would be local play, but that's IF I get the chance to do that. So no, I don't need BF5 or COD:Blackout, but I'd like there to be something new, or at the very least, something old done better. Nintendo can price their games what they want, but there's very few big 3rd games on sale, and what there is, is not discounted a whole lot either. This again goes with my concern here. That the Switch is fast looking like the worst place to buy and play 3rd party content. And once that notion is stuck in the collective head of the gaming community you'll see 3rd party support drop. I'd rather that didn't happen. 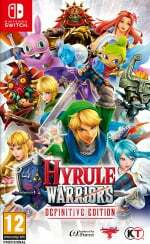 I picked up Hyrule Warriors in the sale for £33 ........and hated it so much I deleted it within an hour 😂 That’ll teach me to go bargain hunting on Black Friday ! Acts as a reminder why physical purchases are best , you always have that resale option. The Switch was only ever going to lag when it comes to ‘big publisher’ third party support. That’s by design. It has fantastic indie third party support which has added a mass of superb games to its library. But the big publishers are mindful of the technological inferiority of the system and Nintendo owners historical unwillingness to buy third party games. All you were ever going to see is well-targeted games. Will it work well on the portable/hybrid format? Can it run (and that’s why you see so many last gen ports-which from what I’ve read of the likes of Diablo and Souls are improved on last gen)? Is there a target market for it? Is it Online dependent (naturally restricted as so much time spent with a switch is undocked)? A direct comparison isn’t always valuable. If someone wants a tethered home system they’ll look elsewhere. For anybody who wants portability (and lots of people do) the Switch is by far the best place to play third party content. As for third party discounting, maybe that means the publishers are happy with what they’re selling. The lack of competition means there isn’t a race to the bottom. As long as publishers are happy with the returns there will be support. @Balta666 You just can't think like a consumer can you? @Balta666 By default though, you seem to try and justify high prices by thinking about why the corporation are charging those prices. Sonic Mania is on sale in the US but not the UK?